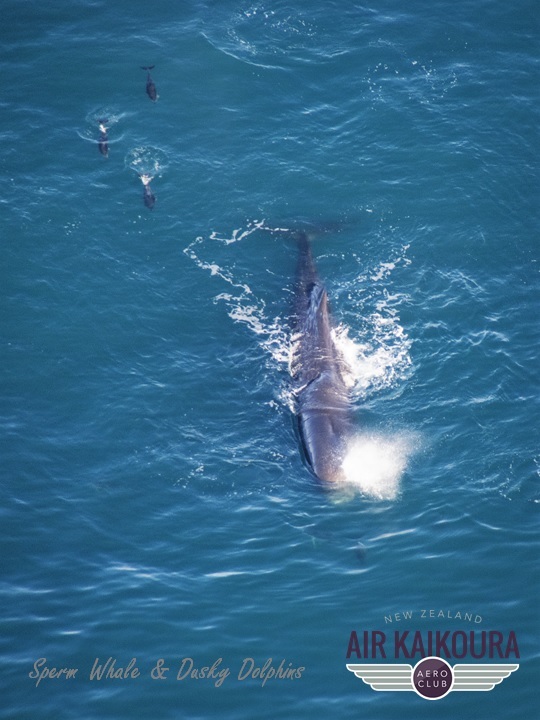 Enjoy a panoramic whale flight, with stunning scenic views along the spectacular Kaikoura coastline. View the magnificent Sperm whales in their natural environment. ​From the air, you can really appreciate the full size of the mighty Sperm whale. ​You will also have an opportunity to see the playful dusky dolphins and other marine life on your flight. After we have found whales we will take you on a scenic flight of Kaikoura and the stunning surrounds that include the high Alpine snow-clad Seaward Kaikoura mountain range, and to the east, the deep blue Pacific Ocean. Although no guarantees are possible, we do have a very high success rate of 95% and we are very honest about your chances of finding whales each day. Price: From 150 per person, 75 for children 12 years and under, free for infants. Location: Flights depart from Kaikoura Airport, 627 Main South Road, Peketa, which is a 10 min drive south of Kaikoura township on State Highway 1. Check-in: Please call us on the day of your booking for a pre-flight weather check, if weather conditions look like they may not be suitable. Otherwise, check in is at Kaikoura Airport 15 minutes prior to your flight. ​Maximum weights and minimum numbers do apply, all flights are at the pilots discretion.